A new wrinkle in an already bizarre lawsuit is shaping up to potentially embarrass the Obama administration. If allegations made in a recent court filing are true, then the Justice Department, with an unprecedented assertion of the state secrets privilege, might be shielding from any accountability a group actively engaged in spreading false information. 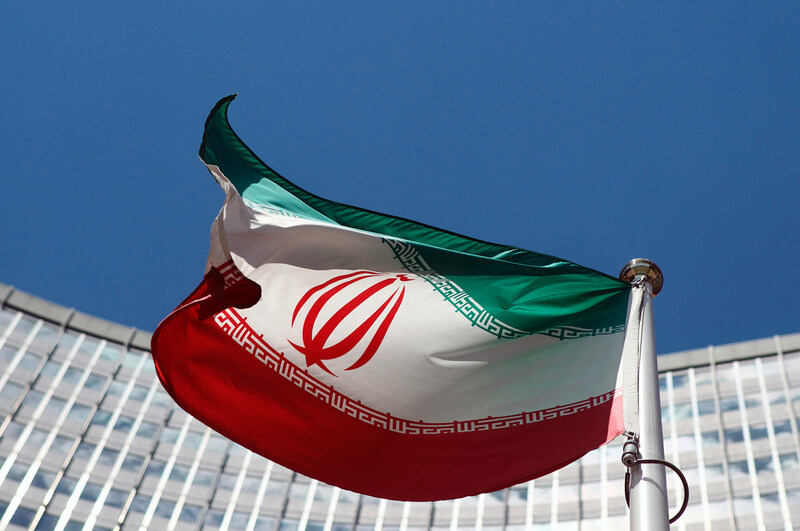 The lawsuit revolves around an anti-Iran group called United Against Nuclear Iran (UANI), a pro-sanctions outfit that takes a hard line against Iran and lodges name-and-shame campaigns against companies it says are doing business with Iran. The group is made up of former officials from the Bush and Obama administrations, as well as a host of academics, former diplomats and former intelligence officials from foreign countries, including Israel. In May 2013, UANI accused Victor Restis of doing illegal business with Iran’s sanctioned energy sector and working with an associate to act as a “front-men” for the Iranian government. But Restis fought back: he sued for defamation in July 2013. All seemed to be proceeding normally after Restis filed his suit. His lawyers asked for documents in an effort to get UANI to back up its allegations against their clients, as well as some general information about UANI. That’s when things got strange: in September, the Justice Department stepped in to block the release of the documents. Justice officials asserted the so-called state secrets privilege, claiming that national security secrets would be at risk of exposure if the disclosures proceeded. The government also suggested the court dismiss the suit. The Justice Department’s reasons for intervening remain a mystery and, unlike any case in the past where the government has intervened in a private suit to which it is not party, refused to even explain privately to the court its reasoning for asserting the privilege. Last week, things got even weirder: in a motion filed on Wednesday, Restis’s lawyers suggested that UANI had leaked information to the Israeli daily The Jerusalem Post that resulted in a piece accusing Restis of doing more illegal business in Iran. The Post later retracted the article, citing “new information” that indicated the purportedly illegal shipping had been “legitimate and permitted,” and scrubbing the article from its website. Restis’s legal team contends that the acknowledgment by a media organization that the information—which Restis alleges was provided by UANI—was false shows a pattern by the group of making defamatory allegations and using the government’s intervention in the case to shield themselves. If true, the alleged UANI leak of false information to The Jerusalem Post would contradict UANI lawyers’ assertion in an October hearing that “UANI has made no statements whatsoever about Victor Restis or his companies, about any subject, doing business with Iran or any subject since February of 2014.” The Jerusalem Post article also said that the information it revealed would be “raised… in an upcoming hearing in a US federal court.” UANI’s lawyers brought up the purported revelations the following day in the October 8 hearing. It has not been proven that UANI leaked information to The Jerusalem Post. The October 29 filing by Restis’s lawyers containing the latest allegations came in an effort to compel the government to justify its assertion of states secrets and to oppose dismissal of the suit. Iin a separate filing last Wednesday, lawyers from the American Civil Liberties Union, the Center for Constitutional Rights, the Electronic Frontier Foundation and other groups spelled out how unusual the Justice Department intervention was. The groups submitted a friend of the court briefing—itself an unusual move, since amicus briefs are usually filed when cases reach the appellate stage—agreeing with Restis’s team. That UANI would allegedly strike out with false allegations even as it was receiving extraordinary protection from the Justice Department only underscores the mystery surrounding the government’s intervention.